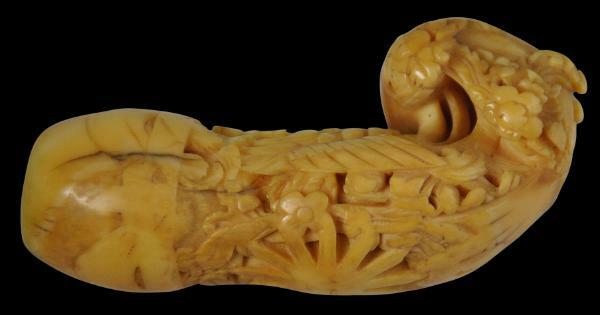 This exquisitely carved kris hilt is of whale tooth. 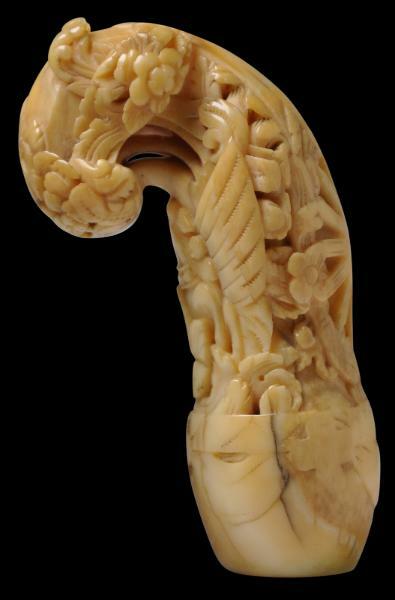 The wear from age and handling, the nature of the whale tooth, and the cauliflower-like florettes give the hilt the appearance of brain matter! kris hilt – Madura being a primarily Islamic island off the east coast of Java and near to Bali, all of which are parts of the Indonesian archipelago. donoriko, is zoomorphic but not overly so, in keeping with Islamic precepts against animal forms. 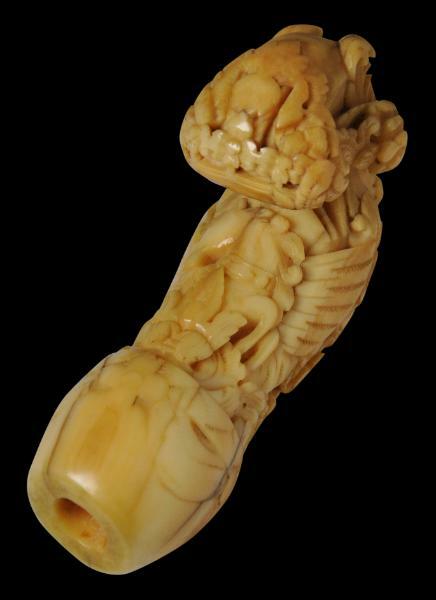 The hilt has a large upper section that is rounded and bent forward with floral protuberances to either side. The composition of the motifs employed on this hilt includes a large winged horse, and a large, pieced solar motif. 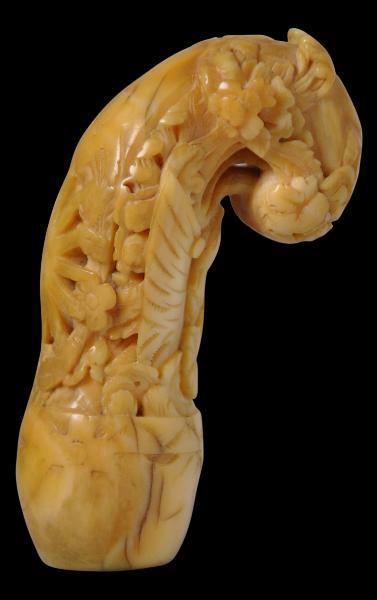 The hilt here as a superb honeyed patina that accords with a 19th century dating.